The characteristic of a democratic country is implementation of election. In Indonesia it has include in national and local levels. Local elections held simultaneously in 2015, 2017 and 2018. One of the city conducting the election is Yogyakarta City. In the specifically this research explain about electoral governance in electoral integrity perspective. All stages of election which consists of pre-election, election period and post-election. This research use qualitative research method through interview and documentation. The results of this study indicated that electoral governance in Yogyakarta City has integrity in accordance with the principles of electoral integrity applied in the stages of election implementation include pre-election, election process and post-election. In this research are not use all of the indicators to analyse the stages of election. This is because adjusted with the findings of research with information obtained through several sources. The first, at the planning and program, the indicators analyse include the implementation of democratic principles, transparency and accountability. The second, socialization and voter information, indicators analyse include the implementation of democratic principles, transparency and professionalism. The third, campaigns, indicators analyse include transparency, accountability, code of ethics and supervision. The fourth, voting and vote counting, the indicators analyse include democratic principle, professionalism, institutional safeguards and supervision. The fifth, the resolution of election disputes, indicators analyse are ethical codes and accountability. ACE Electoral Knowledge Network. (2013). The ACE Encyclopaedia : Electoral Integrity, 1204. Bawaslu. (2017). KERAWANAN PEMILU ( IKP ). Cho, Y., & Kim, Y. C. (2016). Procedural justice and perceived electoral integrity: the case of Koreas 2012 presidential election. Democratization, 23(7), 1180-1197, 23(7). Edet, L. I., Bassey, M. E., & Ita, V. E. (2016). Perceptions of Election Quality and Institutionalization of Democracy in Nigeria : An Overview of the 2011 General Elections, 10(2), 131149. Gutirrez, M. T. M. and P. (2012). Quality Management Systems and their Contribution to the Integrity of Elections. In International Institute for Democracy and Electoral Assistance (IDEA). Hamalai L., Egwu S., O. J. . (2017). The 2015 Elections and the Future of Electoral Democracy In: Nigerias 2015 General Elections. Palgrave Macmillan, Cham., 5(2). Harahap, H. (2016). Evaluasi Pelaksanaan Pilkada Serentak Tahun 2015, 1(01), 1723. Hyde, S. D., Marinov, N., Hyde, S. D., & Marinov, N. (2018). International Organization Foundation Information and Self-Enforcing Democracy : The Role of International Election Observation Published by : Cambridge University Press on behalf of the International Organization Foundation Stable URL : http://www.jstor., 68(2), 329359. James, T. S. (n.d.). Building Better Elections : The Role of Human Resource Management Practices, (September 2017), 121. Medina Torres, L. E. dan E. C. R. (2015). Electoral Governance : More Than Just Electoral Administration. Mexican Law Review, 8. Norris, P. (2012). Are There Global Norms and Universal Standards of Electoral Integrity and Malpractice? Comparing Public and Expert Perceptions. Paper Presented at the IPSA?ECP Workshop on Challenges of Electoral Integrity, 7 July, Madrid. Nurrahmawati. (2017). 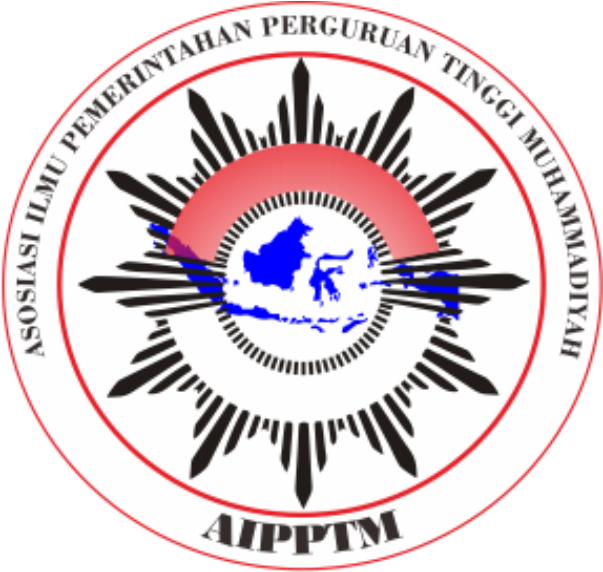 Integritas Penyelenggara Pemilu dalam Perpektif Peserta Pemilu (Studi Deskriptif Komisi Independen Pemilihan Aceh Pada Pilkada Gubernur/Wakil Gubernur Aceh 2017). Jurnal Politik Indonesia, 2(1), 2736. Olugbemiga Afolabi, S. (2017). Interrogating the Credibility of Elections in Africa: Implications for Democracy, Good Governance and Peace?. Journal of Pan African Studies, 10(1). Panwaslu. (2017). Election Violations in Yogyakarta City 2017. Rahmatunnisa, M. (2017). Mengapa Integritas Pemilu Penting ? Jurnal Bawaslu, 3(1). Ruiz-Rufino, R. (2018). When do electoral institutions trigger electoral misconduct?. Democratization, 25(2), 331350. Sugihariyadi, M. (2015). Menakar Profesionalisme Penyelenggaraan Pemilu 2014 Di Kota Garam :, 9(1), 107128. Sugiyono. (n.d.). Memahami Penelitian Kuantitatif, Kualitatif dan R & D. Bandung: Alfabeta. Vickery, C. and E. S. (2012). Assessing Electoral Fraud in New Democracies: Refining the Vocabulary. Washington: DC: IFES.